Many aspects of this story are pitiful, sad, poignant and downright annoying. But, once again, the overarching sensation while reading is fear, menace and waiting for the axe to fall. I was too dim to make the connection at the time of reading the story, so the ending was vaguely unsatisfactory. It makes much more sense to me now, once I connected the narrator to his travelling companion in the manner the author intended. The third section of In a Free State is not just a about bunch of people traveling and talking none sense in Africa. 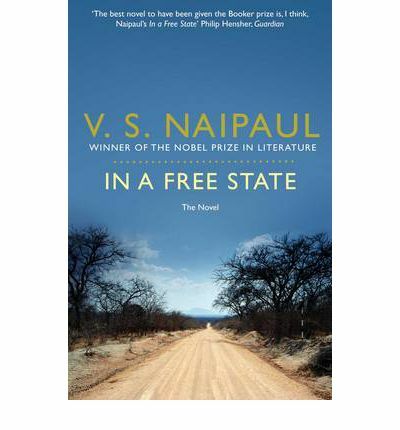 Naipaul is making a serious point of how Africa is changed culturally after the colonial power departured. Also, the people are changed, agriculture has no value, native religion is not there. There ia no political stability anywhere in Africa. Africa is surrounded with european items and the whole contenent is messed up and the rich and powerful people are selfishly taking advantages of evrything. The impact of the imperialism on the whole africa is still visible because they have changed Africa’s shape, people, culture, spiritual beliefs and so on. As linda says “you wouldn’t belive you’re in Africa, it is so much like England”.